Starting at 8:00am, the Cleveland Police Department will have a no parking ban in effect for the Parade Staging Area and Route. This includes Superior Ave. between Public Square and East 24th St., plus all cross streets one block north and one block south of Superior Ave.
9:00am – The Parade Staging Area will be closed to non-Parade participants. 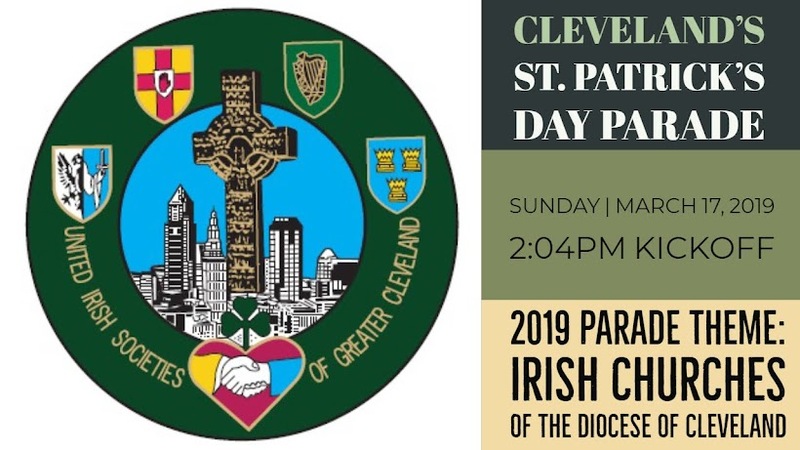 The Staging Area is Superior Ave. between E. 18th St. and E. 24th St.; and E. 18th St. between Payne Ave. and Rockwell Ave.
11:00am – Cleveland Police Department will begin closing and barricading cross streets along the Parade Route. By 1:45pm – ALL traffic along Superior Ave. will be closed until the completion of the Parade. All Parade Units must enter the Staging Area from E. 24th St., and must have their Parade vehicle hang-tags in view at all time. Write your phone number on your child’s wrist and cover it with liquid band-aid. Take a photo of your child using your cell phone the morning of the event so you have their clothing, hair style, and an up to date photo ready to go should you need it. Teach any child over the age of four to memorize your cell phone number. Ask, "Who works here?" when you take your child to a busy place. During the Parade, The Cleveland Police Department will have officers stationed throughout the Parade area. Additionally, the Downtown Cleveland Alliance ambassadors will be stationed at every intersection. Assume you'll get separated. Give your kids lots of reminders about staying together, but also talk about what you'll do when you can't find each other. Per the 2019 St. Patrick’s Day Parade Rules, the consumption of alcohol is not permitted in the Staging Area or during the Parade. This rule is strictly enforced. The shops and restaurants at Tower City Center will close at 2:00pm on Sunday, March 17, 2019. Access to the RTA rapid transit train station will be open, and the normal Sunday schedule will be in effect. The Downtown Cleveland Alliance is a great resource for locating parking lots in downtown Cleveland! On St. Patrick’s Day, some parking lots may have access restrictions based on road closures before and during the Parade. Please plan ahead! Check out RideRTA for full details on schedules and pricing for St. Patrick's Day.